and a living room with double bed + sofa-bed for the biggest, balcony or terrace. Public car park well situated at 300 meters from the residences. Many close shops and services nearby (supermarkets, post office, bank, clothes shops). 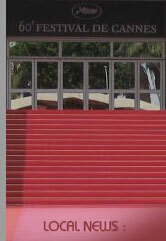 La Croisette, Palais des Festivals, beaches, casinos, palaces. Lerins islands and the castle of iron mask, the Gold cornice. Many small villages of Provence and their craft, glassmaker in Biot, Potteries in Vallauris, painting to Saint Paul and Mougins, feudal village of Gourdon, Grasse, city of perfumes master. Cultural excursions, walks, the inevitable panoramas of French Riviera : Gorges du Loup and Verdon, the Mercantour park, massif of Estérel, Monte Carlo, Saint Tropez.